Mystery Creek Speedway. Back to NZ Speedways. This track in the middle of the rich Waikato Dairy country, was opened on an Autumn evening in April 1972. There was a stock car track at Forest Lake near Hamilton, which was to close in March 1979, but efforts to run Midgets and TQ's along with the stockcars was not successful. 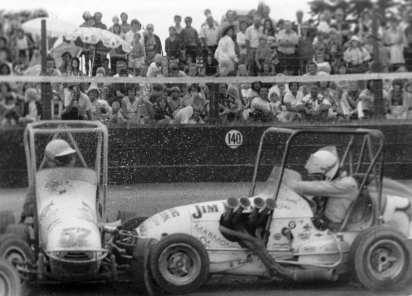 The new track was situated 80 miles south of Auckland and built by the Hamilton Speedway Club led by the founders Pat Leggatt, Jim Simmons and Brian Prestidge. It was situated in the expo grounds of the National Field Days at Kaipaki, six miles south of the city of Hamilton. After a four month delay caused by local complaints, the first meeting was run before 6000 patrons at $1 per head, so the dwindling club funds were propped up again. Sixteen Auckland midget cars attended but by the start of the feature race only nine were left running. The drivers had trouble adapting to this new track. Graham Hartnell and Trevor Morris were the stars of the day in midgets along with Eddie James, Leo Vercoe and Nick Carter. In the solo bikes it was Bryce Subritsky who led the running along with Bruce Mitchell. 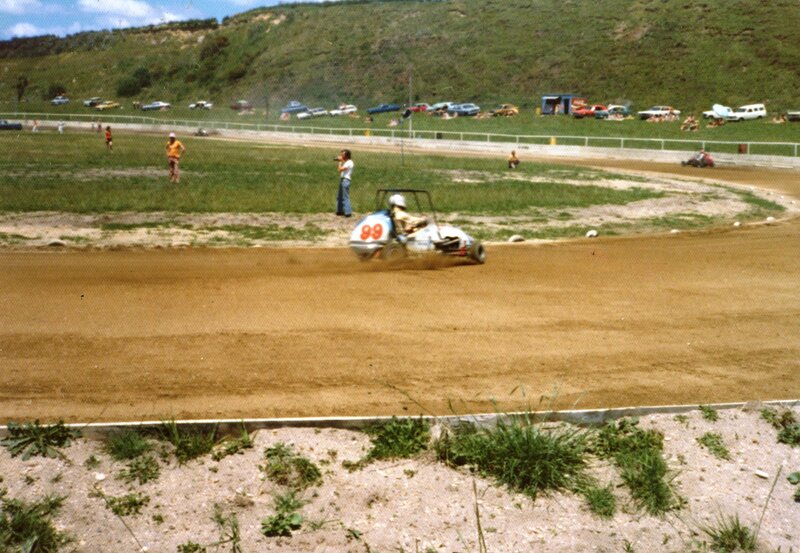 Other races were held for TQ's and Side Cars. The club ran successfully for about 6 or 7 years and here is what Peter Sharpe wrote to me recently.
" I think it closed 1978 - 79. By then the Club was in financial poo. The Fieldays (owners of the land) kept escalating the rent, as they wanted the Speedway Club out. Speedway was also in decline as a spectator sport and crowds were thin on the ground, as were high-end competitors. The Club was basically being run by the Quintal family - nice people, as I remember. At one stage, all 3 brothers raced TQ's and their Mum - a feisty old girl, with a heart of Gold (unless you crossed her...) was organizing things. Ex TQ driver from the 60s - Rod Ellis was Announcer. 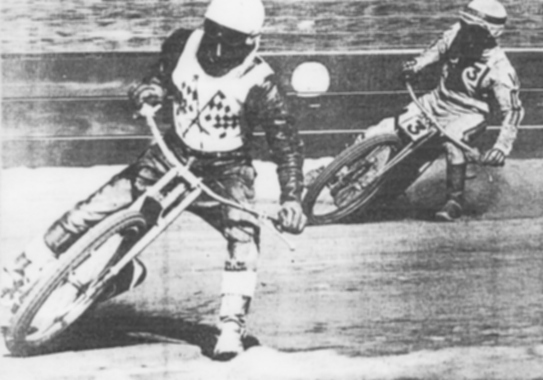 All a far cry from the Club's heyday of around 1973, when Ivan Mauger, Barry Briggs, Ronnie Moore & a whole lot of top riders from Europe visited - including the current (at the time ) World Champion - Ole Olsen. " If anyone can you help fill the gaps, please contact the webmaster. Below are two riders on the opening day. John Roberts and Johnny Sweetman. This photo of Solo's at Mystery Creek from Robert Andrews site. More info on the track from Keith Whittaker in England is below. I have just discovered your web site and think I can help , in the very early 70s as a boy I lived across from Hamilton airport within walking distance of Mystery Creek ( the creek not the track ) as I was a huge stock car fan my dad would take me the 14 miles to Forest Lake Stadium as often as he could, I was also in the Hamilton Sea Scouts and our troop leader was a man named Ian Scarrow, he was not only TV New Zealand's gardening expert ( he replaced a man named Reg ???? ) he also was the main steward at Forest Lake, he told me one day " they are building a speedway track near your house " and he had been asked to be part of it, and would you like a part time job ? Our sea scout troop were there the opening day to sell programes ( and we received a credit in it ) and after that I worked every Sunday as a " pusher " for the TQs. anyhow if I can fill in any blanks you may have I will try to help, and just one thing to start, the first meeting was NOT held in the early evening, it started around noon and finished in the early evening, as you may know Mystery Creek NEVER had night lights, and had a very early curfew as the neighbours ( mainly Locheil Golf Club ) tried to stop the track being built. I watched the construction of that track and even did a " walk around " with my then hero Ivan Mauger as he inspected the new track on his first visit ! , contact me any time. Keith Whittaker -- England The coloured photo shows a TQ running at the track.